Amidst growing outrage over plans to regulate religious preaching, Gov. 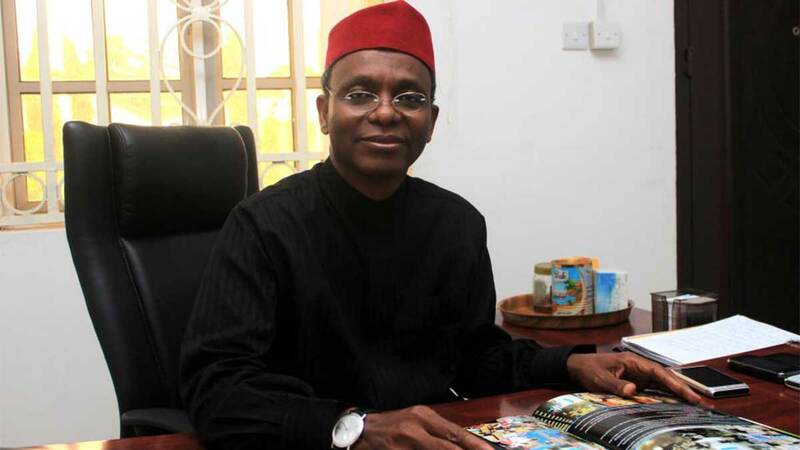 Nasiru El-Rufa’i of Kaduna State on Wednesday met with officials of the state branch of Christian Association of Nigeria (CAN) to seek their support. The governor, represented by his deputy, Mr Barnabas Bala, met with the CAN officials for about 40 minutes behind closed doors at the Government House, Kaduna. Briefing newsmen after the meeting, the state CAN Chairman, Bishop George Dodo, confirmed that the meeting was on the controversial bill, but said the association would not make any comment for now. “When we are through with the study, memo will be sent to the state Assembly; on the day of public hearing we will explain more, but now it would be premature to say the position of CAN,” he said. On concerns raised by the public that the government is trying to muzzle religious freedom, the CAN chairman said: “I don’t think any governor has the power to enact law that will supersede what is in the constitution. “The constitution guarantees every person the right to practice his/her religion, I don’t think there is any governor that can enact a law in that regard. The News Agency of Nigeria (NAN) reports that already several Islamic groups, including the state Council of Imams and Ulamas, had rejected the controversial bill. In spite of the protests, the state government insists that the Religious Preaching Bill is to “protect the state from religious extremism and hate speech”. The governor’s spokesman, Mr Samuel Aruwan, in a statement after the closed door meeting with CAN officials, said the government is going ahead with the bill. According to him, the bill has not in any way affected people’s right to religious freedom. “The bill, by virtue of Section 45(1) of the 1999 Constitution, is in order and does not offend the provisions of the constitution. The provisions of the bill are in tandem with the Constitution. “There is nothing in the bill that suggests any effort to abolish, stop or derogate on the freedom of religion and religious beliefs. “It merely seeks to ensure that religious preaching and activities in the state are conducted in ways that do not threaten public order, public safety, and to protect the rights and freedom of other persons.” he emphasised. While the progressive parts of the world are always trying to extend knowledge and improve the quality of their people’s lives, we are here busy bothering about religion. No wonder our minister of science and technology wants to start “manufacturing” lead pencils in 2018, the minister of agriculture wants to import grass from Brazil as a solution to menace of Fulani cattle raiders, and minister of information and culture sees no need for a statistical unit in his ministry. What a bunch of “clueful” individuals, Olorun!